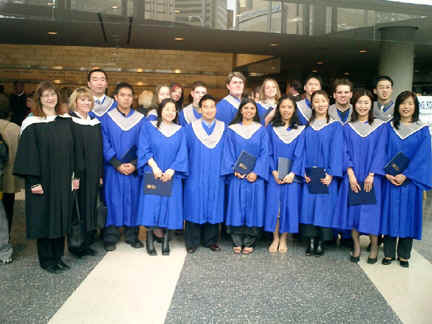 2003-04-20 - Congratulations class of 2003! 2003-05-8 - Let everyone know what's going on by adding an event to the calendar below! 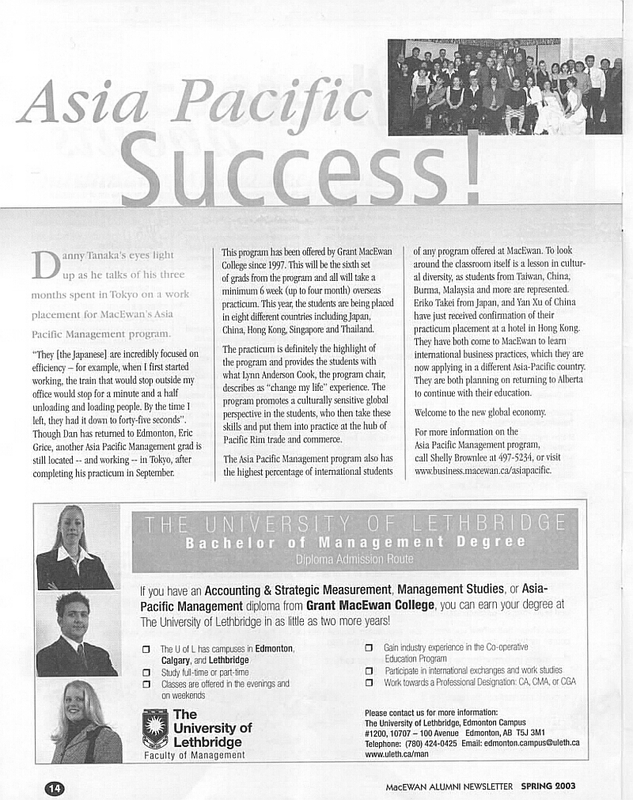 2003-04-01 - The Asia Pacific Management program is currently featured in the current "Moving On" alumni magazine. Click on the thumbnails below to view. 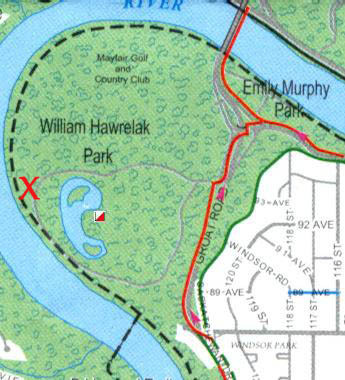 You can find us here in Hawrelak Park on Sat. August 16, 2003. If you would like to join our mailing list and/or become an ACTIVE MEMBER please contact us today!